With so much emphasis on cooking for holiday feasts and baking for cookie exchanges, we often forget what's really important: drinks. Luckily, with New Year's Eve approaching, it's time to focus less on holiday party hors d'oeuvres and more on the glasses we'll be raising to ring in the New Year. Mix together a cocktail sweeter, brighter, or more bubbly than usual (this punch comes from Death and Co, one of our favorite cocktail bars in New York) -- this is a special occasion. We want your 'grams! 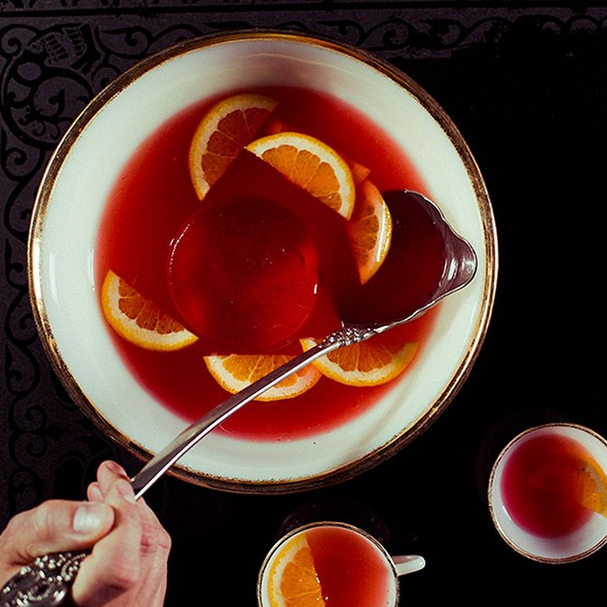 Follow us, then tag your cocktail photos with #f52grams -- we'll repost our favorites.